There’s an online jewelry biz newsletter I subscribe to called Home Jewelry Business Success Tips. The site is owned and manged by jewelry designer Rena Klingenberg. I like the chatty newsletters Rena sends out, with suggestions for trends, booth design and jewelry display. The site is especially helpful for new and fledgling designers, giving them a safe place to share ideas, designs and support. I sometimes chime in with answers to questions, and sometimes when I chime in at length, Rena turns my comments into mini-columns. And that’s what I’m sharing with you today. 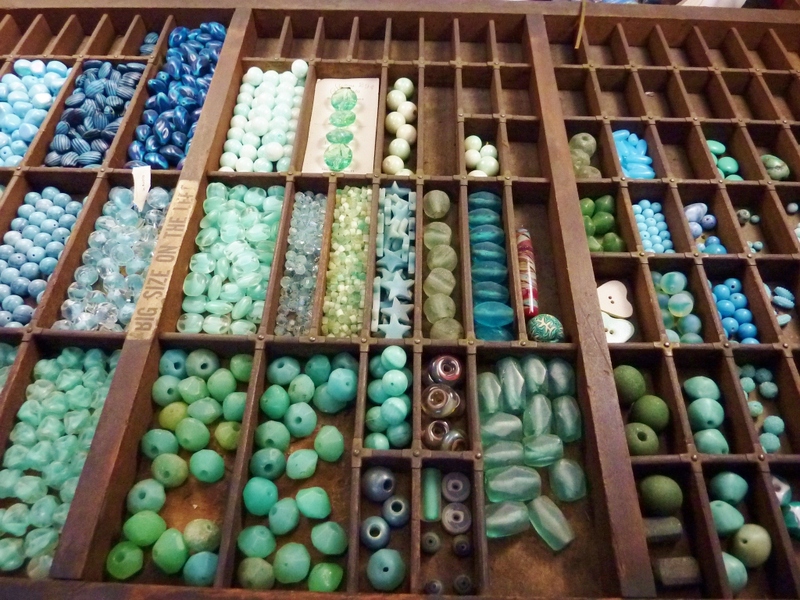 So for your entertainment and edification, I present to you my illustrated article on what to do with a billion beads my bead organizing tips. About 1/1,000,000,000th of my bead collection.